Do you believe that lottery is purely random game and cannot be predicted? Are winning lottery numbers purely random? At first glance they are, but not as random as you may think! 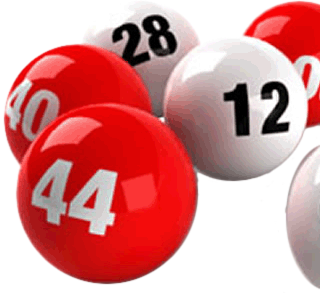 Randomly drawn numbers form patterns that can be recognised and predicted by our sophisticated lottery system. Spotting these patterns in early stages can significantly increase your chances to win the lottery. Lottery doesn't have to be a game of pure chance! "Did you know that creating random numbers is not as easy as you may think?" Wikipedia explains, that random number generator is a computational or physical device designed to generate a sequence of numbers or symbols that lack any pattern, i.e. appear random. Hardware-based systems for random number generation are widely used, but often fall short of this goal, though they may meet some of the statistical tests for randomness intended to ensure that they do not have any easily discernible patterns (read full article here). "Good news: randomness forms patterns which can be predicted by our system!" Is winning all about luck? To win a jackpot you need more than a 'little bit of luck'. But you can't count on it to happen to you. Instead of that you can use 'smart luck' and give the fate a little hand with the precise targeted strategy. Our system will tell you what is probable to happen and what is unlikely to happen. Our system will allow you to win prizes far more often than the odds would normally allow. Keep in mind that the odds to win the lottery are extremely high and you will not win every time you play. However, using our system will dramatically reduce these odds and you will win more prizes than before. "What is most probable will most likely happen. What is least probable will least likely happen." How to pick the winning lottery numbers? Don't play combinations that have been drawn before! Till this date none of the winning combinations repeated! Playing them will most likely guarantee you that you will never win a jackpot again. Avoid playing low numbers like your birthday dates! Many lottery players like to select birthdays or other anniversaries dates. This way they can cover only numbers from 1 to 31. In case the jackpot will consist from all the lower numbers 1-31, there's a high chance that you will share the jackpot with tons of other people. Most of the jackpots include winning numbers higher than 31, so playing low numbers will reduce your probability to win. Don't play consecutive numbers! Absolutely avoid 1-2-3-4-5-6! All same last digits? Not a good idea! Many lottery players also like playing same last digits like 7, 17, 27, 37, 47, etc. This never happened! And if it will, you'll share the winning jackpot with them. Lots of people play number multiples like 5, 10, 15, 20, 25, etc. This never happened either! And if it will, you know your share of the jackpot. "Have you noticed that in drawings without jackpot winner the numbers are usually higher than normal?" Lucky dips? Don't be lazy! Do your own! Based on statistics most of the people who won jackpots made their own combinations. Since most people are lazy to create their own combinations, they play lucky dips. Statistically then they should win more prizes than people picking their own lottery numbers, but they didn't! Don't play all ODD or all EVEN numbers! This happens very rarely. Best mix is even selection of odd and even numbers. For detailed information please see the statistics in Lotto and EuroMillions. Please refer to our statistics for detailed data. How many numbers to buy? If you are deciding whether to play 1 line over a period of 10 draws or 10 lines in 1 draw - you have higher chance to win the lottery if you play all 10 combinations in 1 draw than redistribute it over a period of 10 draws. You are multiplying your chances to win by 10 instead of just 1. Play numbers from previous draw? For some reason 1 number from previous draw is often being drawn in the next draw. So when picking your numbers you may want pay attention to one of the numbers drawn in the past draw, but which one? "Play number patterns that occur most often. The probability to win the lottery is higher this way. Our system will show you these patterns." How many times did you loose your ticket or forgot to check the results? Maybe you have already won but don't know about it. That's why you should always play the lottery online. To buy UK Lotto, EuroMillions and ThunderBall online simply visit National Lottery official website. This way you will never have to worry about loosing the winning ticket. They will let you know about every single winning. All the tips mentioned above can lower your odds to win the lottery. However, in many cases this may not be enough since there are still millions of combinations which can match these winning criteria. To truly increase your chances to win, you should follow the combinations which are winning the most often. "Your wouldn't believe how many unclaimed prizes are there from people buying paper tickets and losing them." Our experience shows the important thing is to identify the most commonly drawn numbers and how they can be put together to form winning combinations. After each lottery draw we carry out extensive analysis in order to identify high probability winning combinations, separating them from low probability combinations. This way we can generate sets which are winning prizes far more often than the odds would normally allow! Our system and strategies are based on years of research, mathematical probability and extensive data gathered since the very first lottery draw. Smart move! We are glad that you decided to join the winners. Pick the lottery and get your sets of the most proven winning lottery combinations. You will be playing the most successful and periodically winning number selections.